Welcome! Thanks for visiting. We’ve got some great music happening for you. 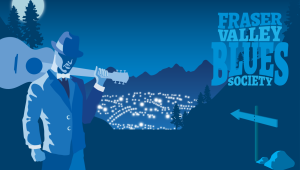 The FVBS supports live music in Abbotsford, BC featuring bands, concerts and a monthly jam session (Sept – June). 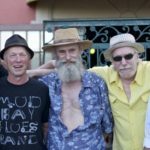 We are a group of Music Lovers who felt a foundation to promote, support, educate and enjoy live blues music in the Fraser Valley of British Columbia was overdue. 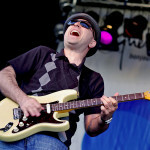 To promote and perpetuate Blues Music, and like music types in the Fraser Valley area. To present live Blues performances at various venues to establish our region as a Blues destination. The performers range from International acts to local musicians. To give support to up and coming musicians and provide an opportunity to further their aspirations. To inform and educate members of our related communities to appreciate live music. Please help preserve and promote live music close to home by joining today. 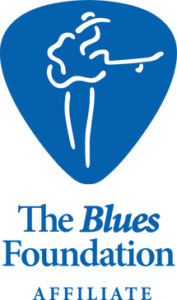 Volunteers, musicians and other blues lovers are needed to fulfill our mandate. We can’t do it alone! Please contact us if you would like to contribute via a membership, sponsorship or volunteering at a venue. 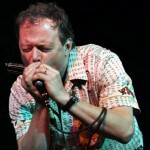 Blues musician and bands are also needed for collaboration and playing to our audiences. 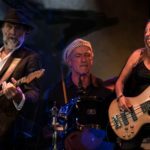 Sunday Wilde & the 1 Eyed Jacks (self titled) New CD Review by Cora Price, Fraser Valley Blues Society CD Release Date: May 1, 2019 I’m so pleased to get me a fix of some Sunday Wilde on her new CD Sunday..
Boogety Shoe Blues Sunday Wilde & the 1 Eyed Jacks (self titled) New CD Review by Cora Price, Fraser Valley Blues Society CD Release Date: May 1, 2019 I’m so pleased to get me a fix of some Sunday Wilde on her new CD Sunday Wilde & the 1 Eyed Jacks. This lady is someone who gets into your heart and soul. Her sound and lyrics hit home and is just pure pleasure to listen to and enjoy. The CD features a trio on most tracks but a few of them have the accompaniment of guitarist Ari Lahdekorpi, of Vancouver, making the overall listening experience magical. 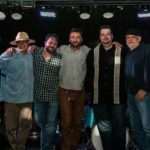 Sunday Wilde contributes keys and vocals, with Colin Craig on drums and Arek Chamski on upright bass. 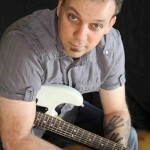 Each musician is heard clearly and melds well together, thanks to the mixing by Gregory W. Schultz, who has worked with Sunday on 2 previous albums. One song, Spirits Up My Friend, a hauntingly beautiful dedication to Reno Jack, Sunday’s partner who has left this realm, was mixed by Mark Saville at Vintage Room studio. For anyone who has lost a loved one, Spirits Up My Friend (track 9), is a song that offers empathy, compassion and raw emotion for the person feeling the spiral of loss and trying to understand it all. Sunday’s keys and vocals, accompanied by the stand-up bass (Arek Chamski), take you to a place of healing and understanding. The journey of losing someone you love is a long and difficult path but music truly has the power to heal us. The CD features 11 cuts with the majority being original tunes written by Wilde. Sunday’s rendition of It Hurts Me Too, cut #6, offers her take on an old favorite. Her signature sound adds some new life to this oldie. The CD begins with the tune “Evil” a wonderful mix of vocals and sound. This is a tune I can see used as a theme song for a movie or TV show. A great story if you pay attention to the lyrics. As you are listening, close your eyes, and you’ll see what I mean. The song “Dead Man Shoes” is catchy and again, has great lyrics and melody to it. Love the intro to cut #7 – My Baby’s Dead. There are many cuts to this album you’ll fall in love with, but it’s up to you to explore it further and discover the newest compositions being offered and choose your own favorites. Something for everyone: shuffles, boogie woogie, blues, slowed down listening tunes and more. Pure pleasure. What I love each time I listen to this CD (yes, I listened to it a few times before writing this review), is Sunday’s unique voice. She brings out the best in the musicians she plays with. 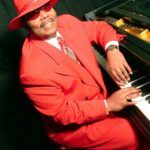 Reminiscent of the musicians of the 50’s, it’s easy to visualize her sitting at the piano in a juke joint, having everyone around her joining in to enjoy the live music, playing their instrument of choice and just having a good time. This woman has not had it easy but she’s tenacious, she’s got passion in her soul and you know without a doubt she was put here to make beautiful music. Hardship seems to be the basis of many a good song, and Sunday is no stranger to that. The release date of the CD is May 1st so be sure to get your copy through iTunes and other music download sites as soon as possible. Visit her site: https://www.sundaywilde.com/ or Facebook page: https://www.facebook.com/SUNDAY-wilde86467294626/ (Sunday Wilde) for official release info. Support musicians - share this with others - spread the news - keep music alive. Hoping we’ll get to see Sunday sometime in the near future on the west coast. Always a pleasure interacting with her, a true blues soul! We had guests who played us some folk blues at Friday’s Blues Jam night. Here’s a taste for you. Featuring Jim McLaughlin & Kevin Andrew Sutton, from Everett, WA. Two awesome musicians and people!